Klangfest Kruzni Tok was a collaboration between Enterprise Z and Mani d.o.o. and the first public presentation of the Echoes collective. 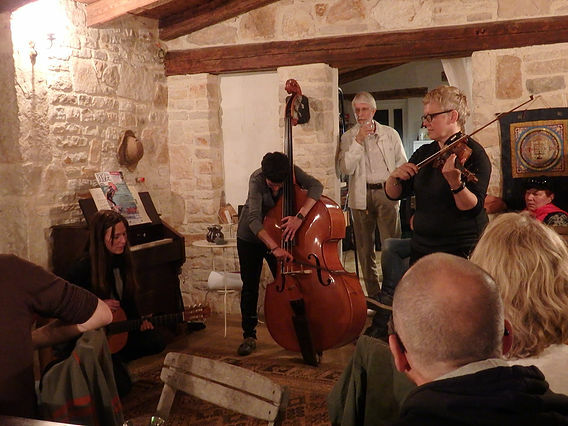 Local and international musicians, performers and poets were invited to come together in the rural ambience of Hrelji 45 and develop and present their work, engaging with various layers of landscape, metaphor and interpretation. With Phill Niblock & Katherine Liberovskaya, Sofia Härdig, Mia Zabelka, Saffronkeira, Dragic Rajcic, Zahra Mani, Thomas Köner, Ido Bukelmann and Livio Morosin.